Kathy Lette's son Jules Robertson is an actor. 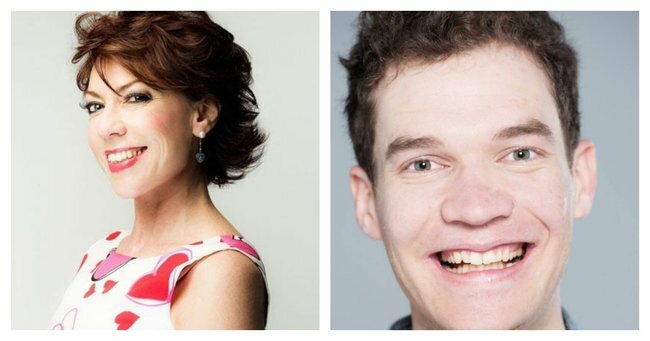 Author Kathy Lette has penned a breathtaking post about her 25-year-old son with autism. Lette, 57, is a mother of two children – Julius, 25 and Georgina, 23. It’s her son, Julius who is the focus of a Facebook post Lette wrote about his battle to be accepted as a person with autism and the incredible achievements he has made. Kathy Lette: You might as well have ripped my heart out of my chest and stomped on it. Image via Facebook. She says that Jules, as she calls him, had an encyclopedic knowledge of the Beatles, Buddy Holly and Shakespeare by the age of eight, but that the school system did not suit him. Kathy Lette and her son, Jules. Via Getty. Lette, who first wrote about autism in her fictional book, The Boy Who Fell To Earth, says that while 99 per cent of young people with autism would like to have a job, just 15 per cent are in full-time and paid employment. “These daily rejections is why it’s vital to tell your special needs child that they really are special” she says. Kathy Lette talks about her son on Studio 10. Post continues after video..
Kathy says: “There’s no Owner’s Manual for parents of autistic kids, but it’s imperative to find what they’re good at and encourage it. It doesn’t matter if it’s moth wing fluctuations, igneous rock formations or Tibetan nose fluting – because you never know what their obsession could lead to. Jules Robertson in BBC&apos;s Holby City. Via BBC Holby City Facebook page. Jules Robertson enrolled in an acting course, she says “amazingly” he excelled. In 2014 Lette told Fairfax Media about how she learnt of her son’s diagnosis. She told The Two of Us that at 14 months Jules began to lose his speech. She said she first felt denial. Lette said her son, Jules was told at school he was stupid, that ”other parents would pull their children away as if he had leprosy” but that he was eccentric and extraordinary. Kathy Lette and her son, Jules in 2007. Via Getty. She told The Australian: ”How I envied the normal worries of other mothers, who fretted over sugar content in cereal, how to make broccoli interesting and why their offspring wouldn&apos;t eat anything that hadn&apos;t danced in an ad on television. The parent of a special needs child has to be their legal advocate, fighting his or her educational corner; full-time scientist -- challenging doctors and questioning medications; executive officer -- making difficult decisions on their behalf; and also, full-time bodyguard against bullies." Now with her son at the age of 25 she is still his advocate, still his bodyguard and always his champion.